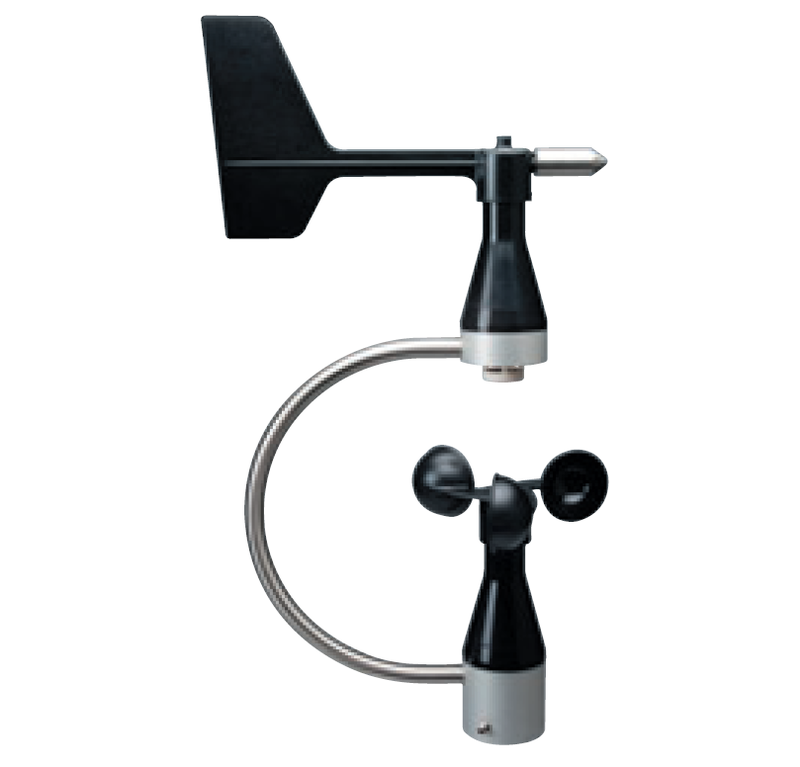 The Small combined wind sensor is a mechanical cup and vane anemometer designed for the measurement of the horizontal wind direction speed and direction. The all plastic sensor enclosures combined with high quality metal parts provides excellent corrosion resistance whilst labyrinth gaskets protect the electrical components. An integrated temperature sensor makes this device an excellent choice for use as a simple weather station.